Our region's mega wine festival has a legit new chef lineup. 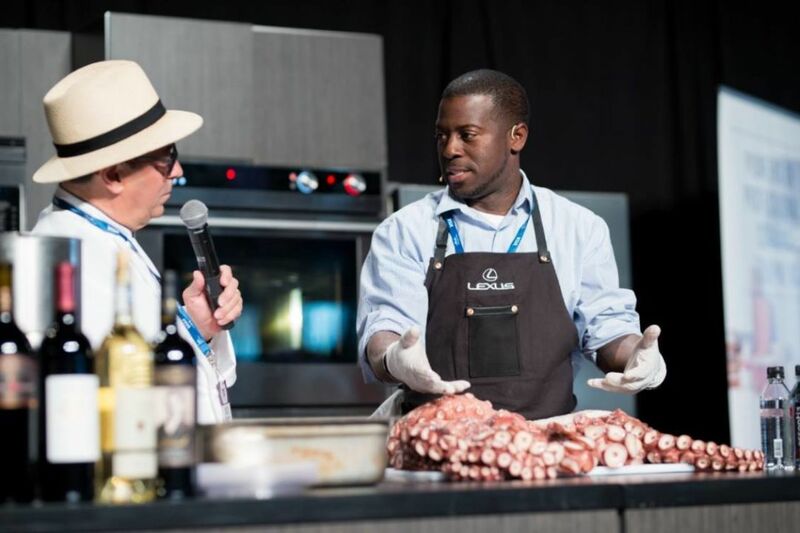 Our region's major wine event brings even more chef star power in 2019 (yep, including Edouardo Jordan). The culinary component of our annual big-time wine event will look a little different this year, thanks to the team behind Feast Portland. Mike Thelin and Carrie Welch, who cofounded the Rose City's destination food festival in 2012, are working with Taste Washington to revamp a few aspects of the country’s largest single-region wine festival. Tickets for the 22nd annual Taste went on sale today. The Washington Wine Commission founded this massive gathering and now produces Taste in partnership with Visit Seattle. Which is to say the wine logistics and destination component work very well, says Visit Seattle vice president Ali Daniels. "Where we thought we could continue to evolve was from the chef and culinary perspective. And the party aspect." Festivities still revolve around the 200-plus winemakers and two-day Grand Tasting at CenturyLink Field’s event center, held this year on March 30 and 31. Most of the Feast team’s efforts involve the Friday night New Vintage event, which historically attracts a slightly younger crowd; this year the location moves to the Sanctuary downtown. The goal, says Daniels, is to have a little more fun with it. "It's our party, evening event," she says. "We don't want to create a mini Grand Tasting, so you're just going to the same event when it's dark outside." As Feast Portland sails toward its seventh year, Welch and Thelin founded a separate consulting arm for big projects like this one. Taste will be its first public-facing event, says Welch—“we’ve said no a lot"—though most of their efforts happen behind the scenes. Both the Feast and Visit Seattle folks stress that they're not creating a local satellite of Feast, especially at an event dedicated to Washington wine. "It's going to be the same Taste everyone loves," says Daniels. "With some fun unexpected moments throughout." Taste Washington's full slate of events, from the Red and White Party to farm trips, seminars, and the roster of chefs, is now up on its website.